Karachi (Staff Report): The Pakistan Stock Exchange (PSX) on Thursday ended on a slightly negative note as the benchmark KSE-100 index lost 7.45 points, or 0.01 per cent to close at 52,869.01 points. 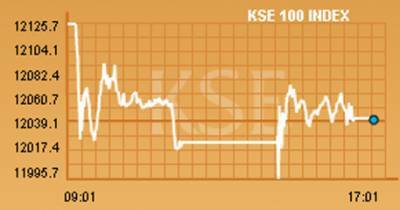 About 142 million shares changed hands by the end of the session, with a total worth of nearly Rs19 billion. Volumes surged led by cement company stocks as the market remained almost flat ahead of the federal budget due on Friday. Stocks of 394 companies were traded, of which 152 gained in value, 231 declined and 11 remained unchanged.